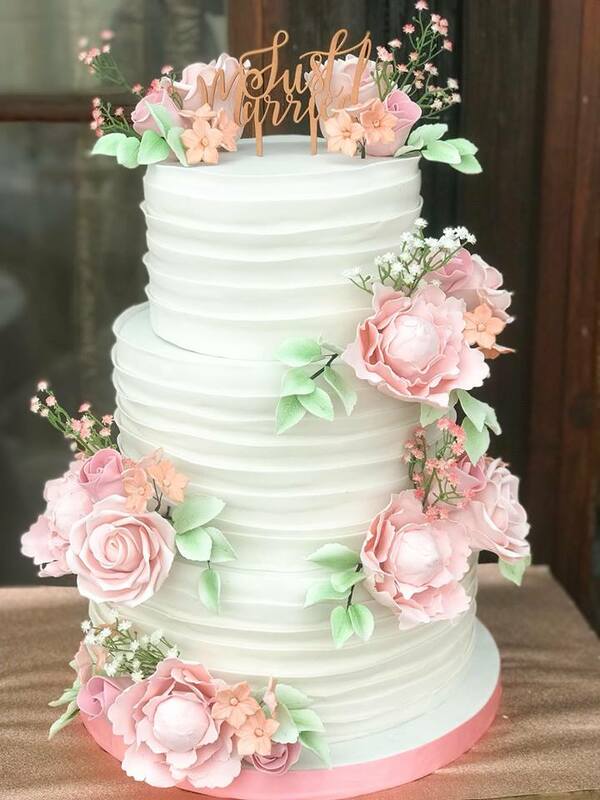 For sumptuous works of edible art, guaranteed to be a dazzling centrepiece and a delicious treat for all guests to enjoy, commission Claire's Custom Cakes for your big day. Chose from a multitude of designs, flavours and sizes; alternatively craft your dream cake from scratch. Opt for lace detailing, florals or an unconventional style for quirkier celebrations. 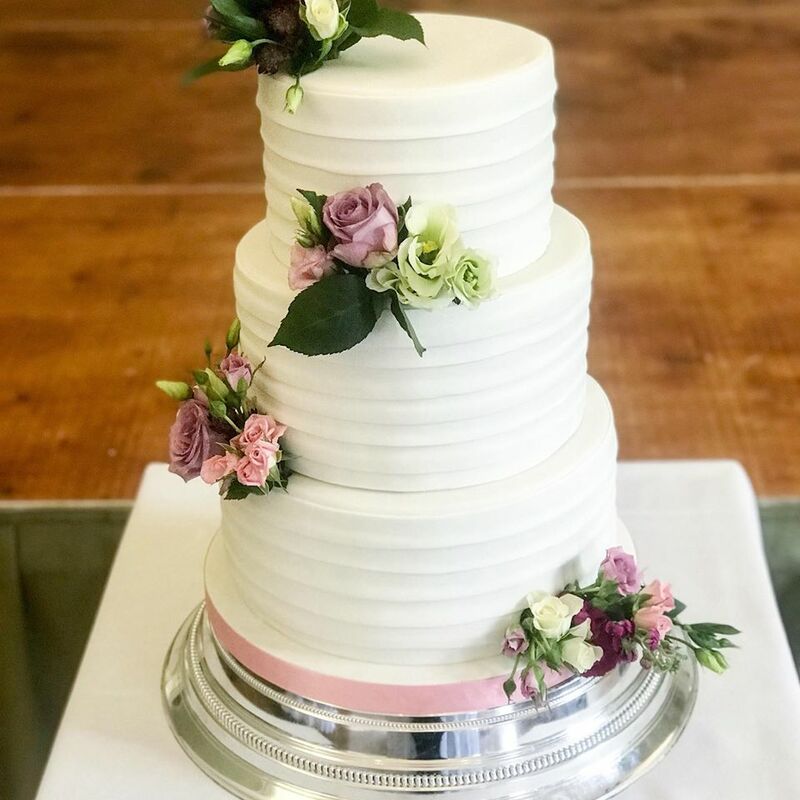 Having worked as a chef for six years before starting her own business, Claire has the culinary knowledge to craft mouth-watering wedding cakes. She always presents her designs in an artistic fashion. 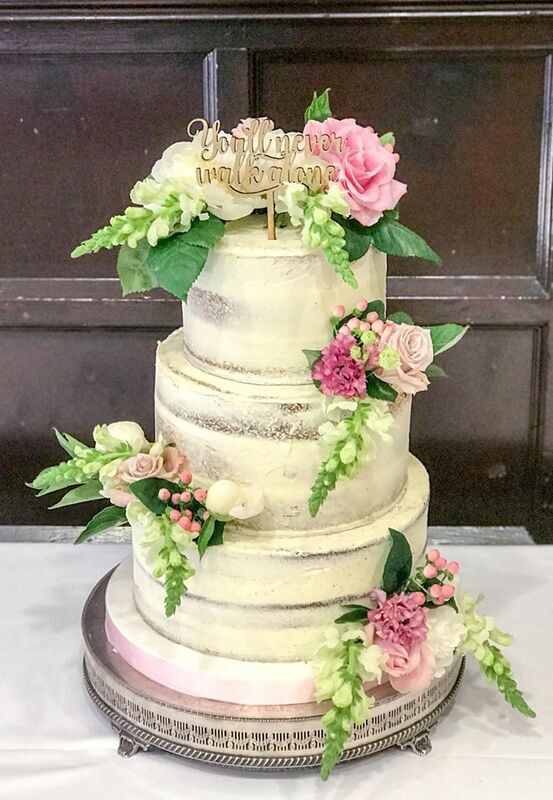 She handcrafts the cakes from start to finish, whether you want delicate sugar flowers, personalised cake toppers or floral detailing, she's got a design up her sleeve that will leave your guests in awe. 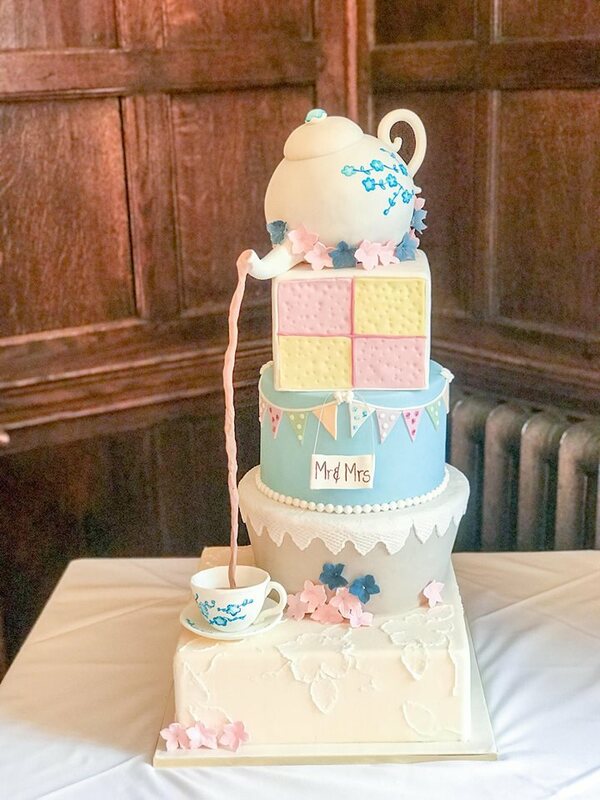 To satisfy your sweet tooth, Claire offers a fantastic range of cake and buttercream filling flavours; mix and match for your favourite combinations and have your dream cake. Going the extra mile for her couples, Claire also offers a fun range of hireable props. Adding a special touch to all parts of your festivities. You can also hire a four-foot LED 'LOVE' sign for an atmospheric and romantic backdrop during your reception. The team offer a sweet cart full of tasty treats and a hand-made wishing well, for an extra sprinkle of magic to top off your day. Claire offers informal pre-wedding consultations completely free of charge. There you can chat about design ideas and sample some of her fantastic bakes. 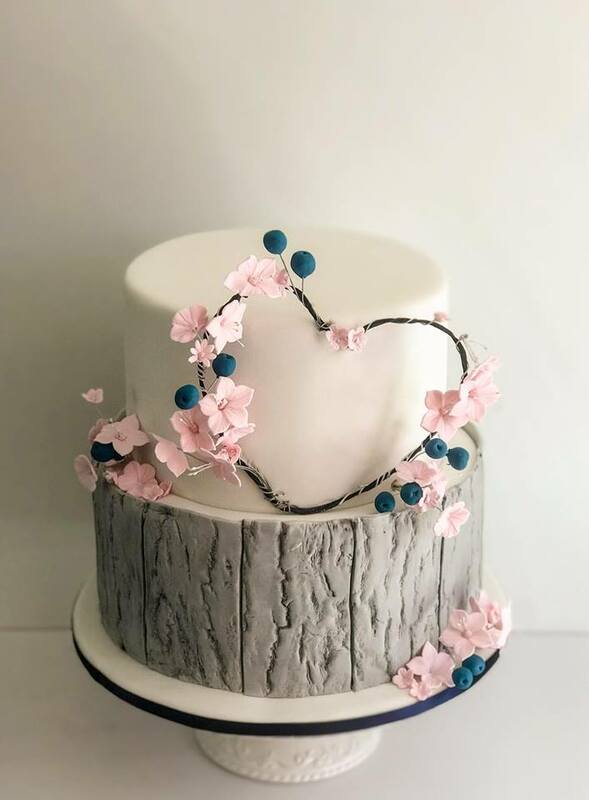 As each cake is made uniquely to your taste and style, there's no set price. Your custom cake meets your set budget, whilst creating a delicious masterpiece. Claire is happy to deliver the cake directly to you, for those that are in the local area. A small delivery fee is incurred for weddings that are further afield. A £50 deposit is required on booking, the remaining balance can be paid a week before your wedding. Contact Claire for more details on designs, flavours and pricing, get designing in preparation for the special day. 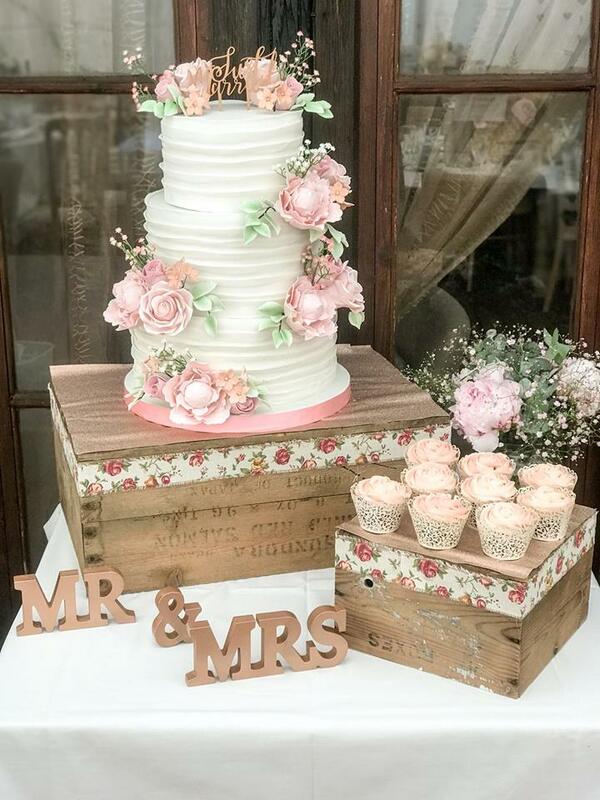 If Claire's sumptuous wedding cakes have got your mouth watering, click the contact buttons to the right and bottom of the page to find out more. Or just go ahead and book! 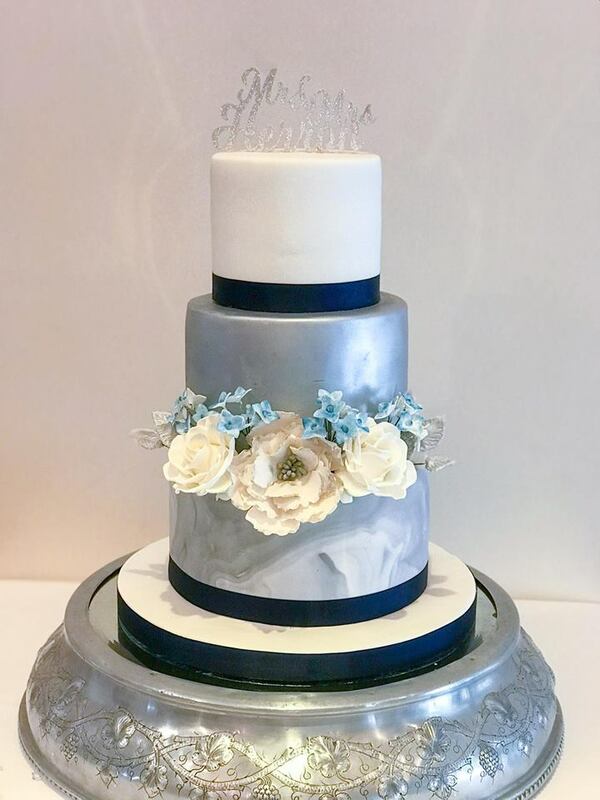 We are so pleased that we chose Claire to make our wedding cake. She is a lovely person and was so helpful - going through so many options with us and the tasting was a lot of fun. What she delivered to us on the day was beautiful. 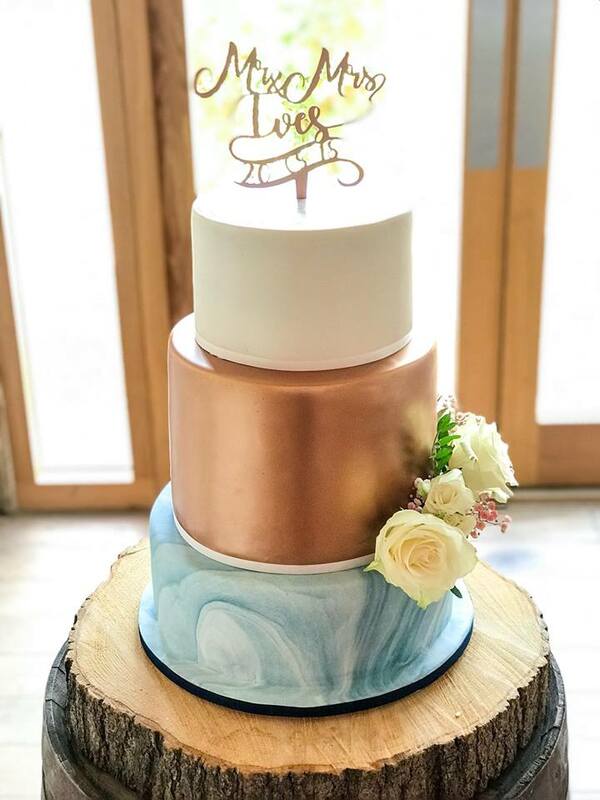 Claire made our wedding cake this month and it was stunning; exactly what we were after! 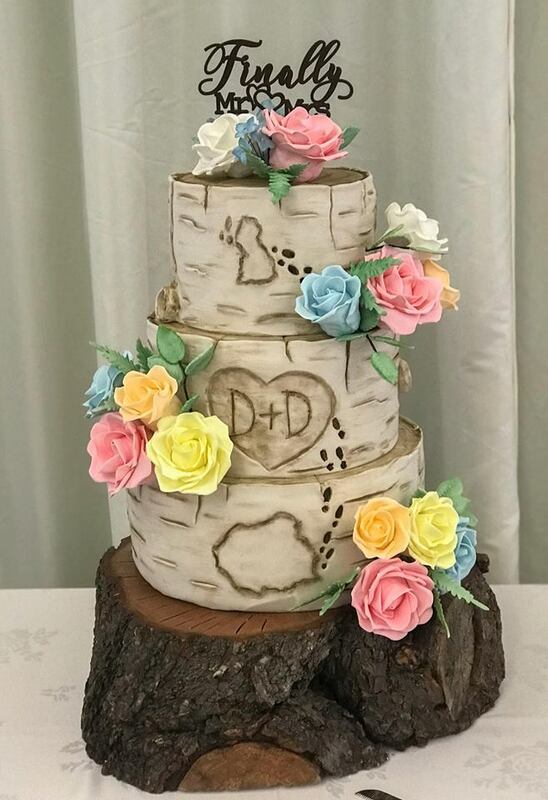 It tasted absolutely incredible and everyone was impressed by the flower decorations. Claire was a joy to work with and I wouldn't hesitate to use her services again. Let others know what you think of Claire's Custom Cakes by giving a star rating and a small review.